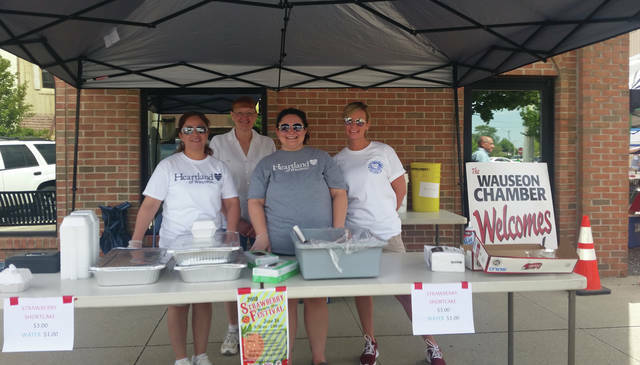 The Strawberry Festival was held on Saturday to celebrate the opening of Wauseon’s Downtown Farmers Market. 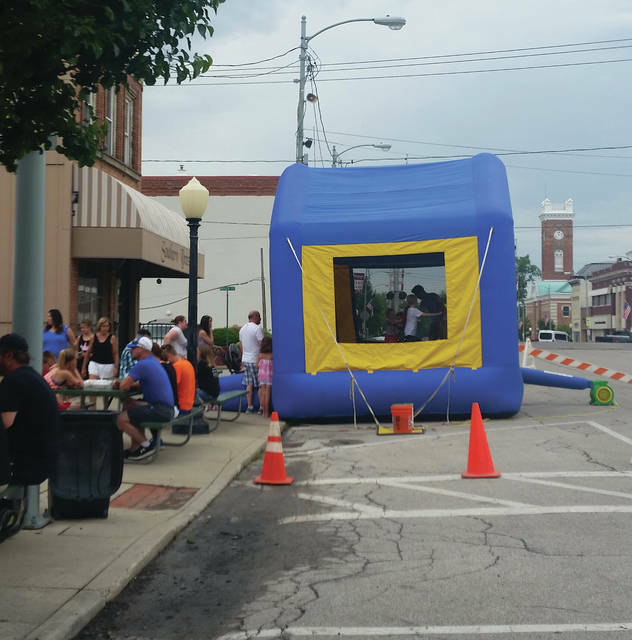 Visitors enjoyed strawberry shortcake, music and a bounce house for kids in addition to the market. At the table, from left, are Fran Franklin, Gloria Gunn, Tiffany Painter, and Jessica Molina.